Aleu is not a subtle lady, when she wants something she will let you know so when I let her out yesterday morning and she ran to sit by the door of my Mini I knew it was time to load up and go into the woods. 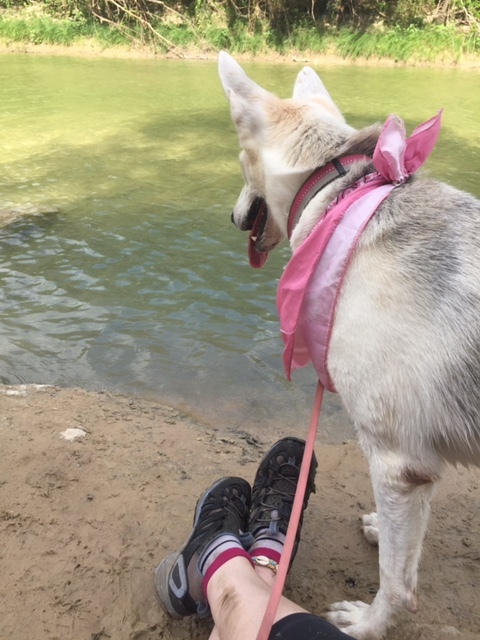 It took me a minute to get enthusiastic about hiking in 93 degree heat with humidity through the roof but I never regret a day outside with her. 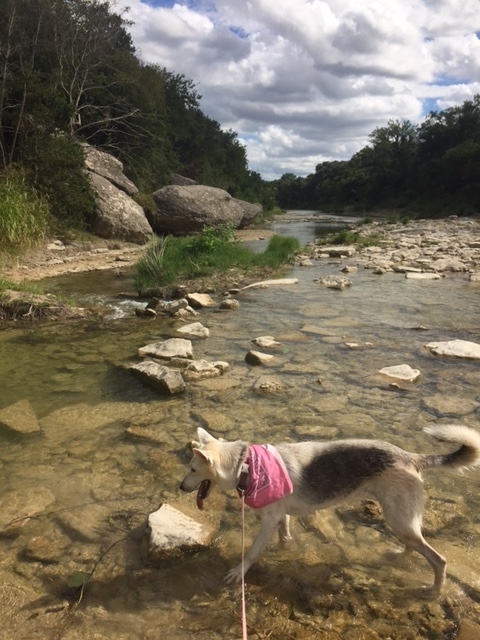 I packed plenty of water and decided to head out for a day hike in beautiful Dinosaur Valley State park, we have visited many times and yet I still find hidden gems in this park that open my eyes wide and still my breath. The Paluxy River winds through the park providing relief from the heat. It offers hidden pools to cool off and relax and drink in the smell of the cedars. Sometimes I feel so removed from the present rat race that is our society I expect a dinosaur to stop by for a drink of the cool water. Once you cross the river into the trails this zion seems to remain frozen in time and protected for us few who chose to venture out. As a friend of mine once said, “Not a great place to have a medical emergency”, but if the woods claimed me I think that would be fine. That being said, I carry a snake bite kit and plenty of first aid supplies because Aleu and I have a lot more adventures to fulfill. The views are spectacular and the river sings with a calm voice today. 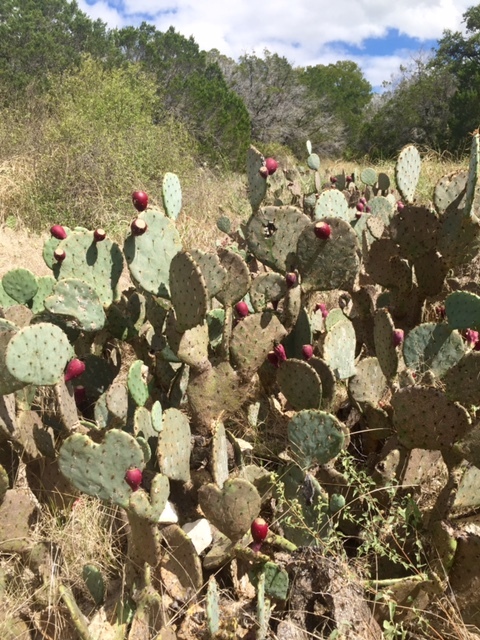 Huge prickly pear wink at me with a sly grin and hawks glide overhead scanning for field mice or unsuspecting fish. Life is good. 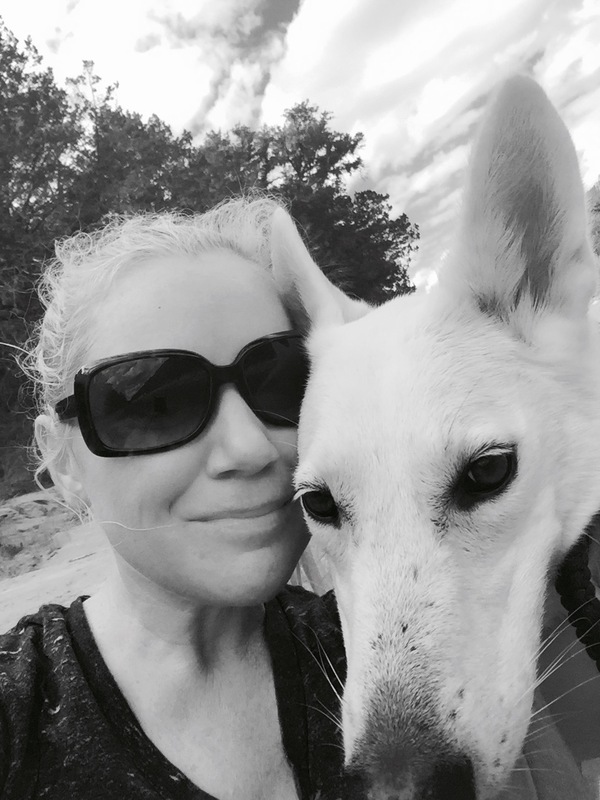 Aleu and I head home content once again. 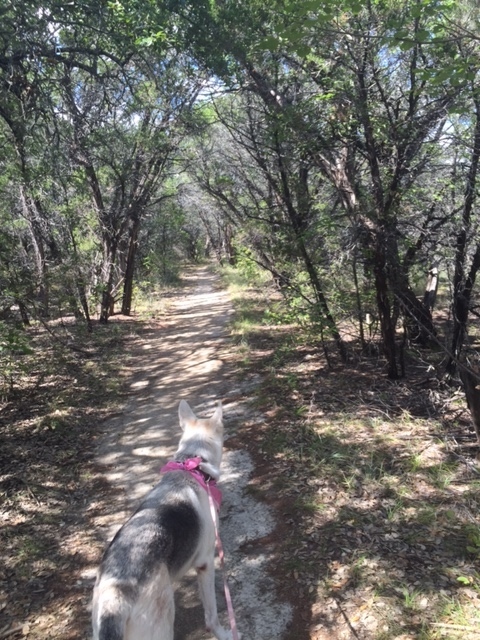 I sure hope Texas shows us some fall weather soon because I can smell my post hike perfume all the way home. 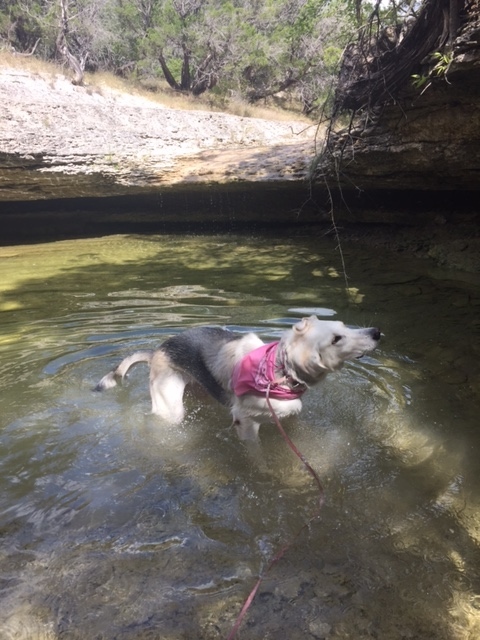 We love Dinosaur Valley State Park. Thanks for sharing, and with no pictures of dinosaurs or prints? So your a true outdoor purist? I think the dinosaur prints are wonderful but I also think a lot of people go see them and overlook the large picture of beauty that surrounds them. The past is important but I prefer to see the loveliness that surrounds me right now.